In the near future, historical letters by George Washington are to return home to Mount Vernon. Here at Gray Line, we thought we would investigate further! 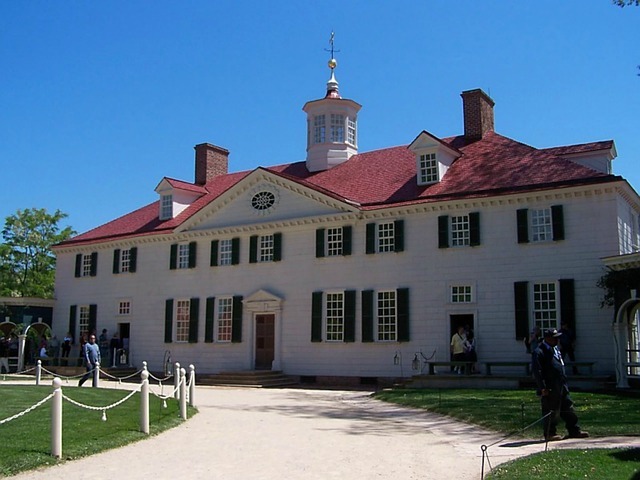 If you are a regular reader of our Gray Line DC blog, then you will be aware of how much we love the history of Mount Vernon. This historical site has been excellently preserved and it’s still a brilliant place to visit to this day. Recently, George Washington’s Mount Vernon acquired an exceptional collection of 5 letters written by the former first President himself, and they are due to be returned to the estate in the coming days. The remarkable collection was written by Washington and directed at his chief allies during the American Revolution and have been kept in the hands of the Chastellux family for over two hundred years. The letters show a personal side to Washington where he states an opinion on marriage, the current state of the Constitution as well as his imminent decision to step down as President. Due to the presidential inauguration having just been completed and with Washington’s Birthday less than a month away, the letters are to be temporarily displayed in the Donald W. Reynolds Museum and Education Center. All 5 of the letters will be available and they will be on a rotation in the coming weeks so that members of the public can view each one of these sacred documents. The originals have been written entirely in hand by Washington himself and will then be re-housed to Mount Vernon following their debut to the public. They will be encased within the Fred W. Smith National Library where they will be safe and secure. The documents were written from 1783-1788. Four of the letters were written from Mount Vernon straight after George Washington resigned his military commission with one of the letters even highlighting Washington’s desire to retire indefinitely. Additionally, some of the letters showed a more compassionate side to Washington with his sense of humor also shining through with certain phrases. Furthermore, the letters also show the friendship that existed between the former president and Francois-Jean de Chastellux. This shows a different side to this president that many don’t even think about to this day. Of course, we mostly think of him as a serious man but there was a humorous side to his personality too. While all the letters will be returned to Mount Vernon, the company continues to operate as a not for profit organization and relies heavily on ticket sales and donations. If you want to support a good cause, then why not pay the estate a visit? We can certainly look to get you there and then you can view the magnificent library for yourself. To learn more about Mount Vernon, you can visit the home for yourself on one of our tours.